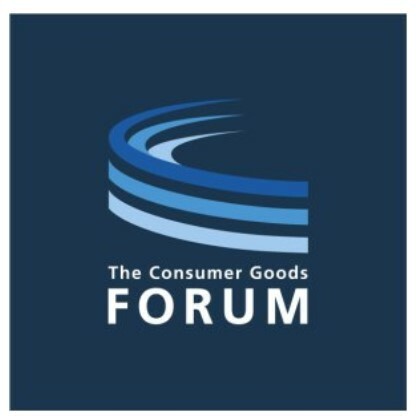 The Consumer Goods Forum announced that the Sustainability Steering Committee has elected a new leadership team, for a two-year renewable term. Christine Montenegro McGrath, Vice President and Chief of Global Impact Officer, Mondelēz International will join Barry Parkin, Chief Procurement and Sustainability Officer, Mars, Incorporated, to represent the Manufacturer College. While Veronika Pountcheva, Global Director Corporate Responsibility and Senior Vice President, METRO AG and Jennifer Silberman, Vice President, Corporate Responsibility, Target will now represent the Retailer College. The new co-chairs take on their new roles at an exciting moment as the Social and Environmental Sustainability Steering Committees merge into an inclusive Sustainability Steering Committee, evolving from a two to four co-chair model. This new structure allows for greater focus on critical workstreams, including forced labour, deforestation, food waste, plastic waste, refrigeration and the Sustainable Supply Chain Initiative. Christine Montenegro McGrath, Vice President and Chief of Global Impact Officer, Mondelēz International, said, “After being part of the CGF for many years, I’m honoured to be co-leading the Sustainability Pillar. Now more than ever, it is critical to harness the thought leadership and innovation of our collective industry to address the complex environmental and social challenges the world faces. By working together and bringing in other key stakeholders, we will achieve so much more positive change than any of us can do alone”. Barry Parkin, Chief Procurement and Sustainability Officer, Mars, Incorporated, said,“I’m delighted to be co-chairing the Sustainability Committee of The Consumers Goods Forum. The CGF has a legacy of bold action and impact and I look forward to continuing that momentum as we address some of today’s most pressing sustainability issues”. Veronika Pountcheva, Global Director Corporate Responsibility and Senior Vice President, METRO AG, said, “The CGF sets the pace for cross-sector collaboration in many of the most pressing fields of various branches. Industry today needs to lead by example. We have to question, improve and act on the status quo in terms of challenges like plastic pollution, food loss and waste as well as social working conditions. The CGF proves that partnership creates more impact. This is what I will hold myself accountable for – fostering the force of impactful partnerships to enable better lives through better business”. Jennifer Silberman, Vice President of Corporate Responsibility, Target, said, “I’m honored to join my fellow co-chairs to lead the Sustainability Steering Committee of The Consumer Goods Forum. Together we will leverage our collective influence to drive pre-competitive and cross-sector collaboration to address the industry’s most significant sustainability challenges and opportunities”. Members of the Sustainability Steering Committee extended their gratitude to outgoing co-chairs Mike Barry, Director of Sustainable Business (Plan A), Marks & Spencer, and Jeff Seabright, Chief Sustainability Officer, Unilever, for their outstanding leadership and valuable contributions to driving positive change and helping to tackle today’s biggest sustainability issues. Under their stewardship, the respective committees have helped launch the 2016 Social Resolution on Forced Labour and the Priority Industry Principles on forced labour, actions on plastics, resolutions on phasing out chemical refrigerants and halving food waste. The incoming co-chairs will now look to further drive implementation across the wider CGF membership as the CGF looks to make important decisions over the next few years on these key challenges facing the industry and how the consumer goods industry will act to secure long-term, sustainable changes that benefit both people and the planet, and drive shared business value. Hey Buddy!, I found this information for you: "METRO AG, Mars, Incorporated, Mondelēz International and Target Executives to Lead Sustainability Committee at The Consumer Goods Forum". Here is the website link: https://www.duurzaam-ondernemen.nl/metro-ag-mars-incorporated-mondelez-international-and-target-executives-to-lead-sustainability-committee-at-the-consumer-goods-forum/. Thank you.